WEST PALM BEACH, Fla. — The International Hot Rod Association will once again be a part of the Performance Racing Industry (PRI) Trade Show, the world’s largest auto racing trade show, December 6-8, 2018 at the Indiana Convention Center, Indianapolis. The IHRA will be located at booth number 3524. 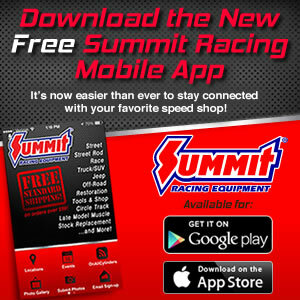 Come by and check out our racing programs for 2019 such as IHRA Summit Racing Equipment SuperSeries, the largest and most prestigious championship in bracket racing featuring the addition of the new Sportsman class and the Summit Sportsman Spectacular. In addition to our staff being available to answer attendee’s questions on IHRA 2019 programs, membership and licensing team members along with division directors will be on hand in the IHRA booth throughout the show. The IHRA joins with more than 1,200 racing businesses exhibiting in over 3,400 booths. The PRI show attracts over 48,000 members of the racing industry from all 50 states and 70 countries.